It looked like a snowstorm in July as violent thunderstorms rolled across southern Alberta on Monday covering Calgary in golf ball-sized hail. Traffic was snarled during the afternoon commute as drivers coped with hail piling up like snow. By early evening, the storms had passed and Environment Canada dropped severe thunderstorm warnings for the region. Calgary is dubbed the hailstorm capital of Canada and south central Alberta is known to be one of the worst areas of the world for thunderstorms producing damaging hail. 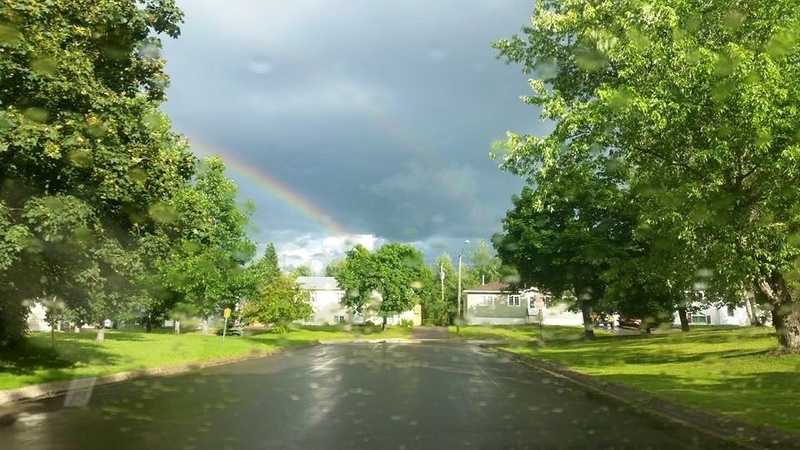 Severe weather in northern N.B. 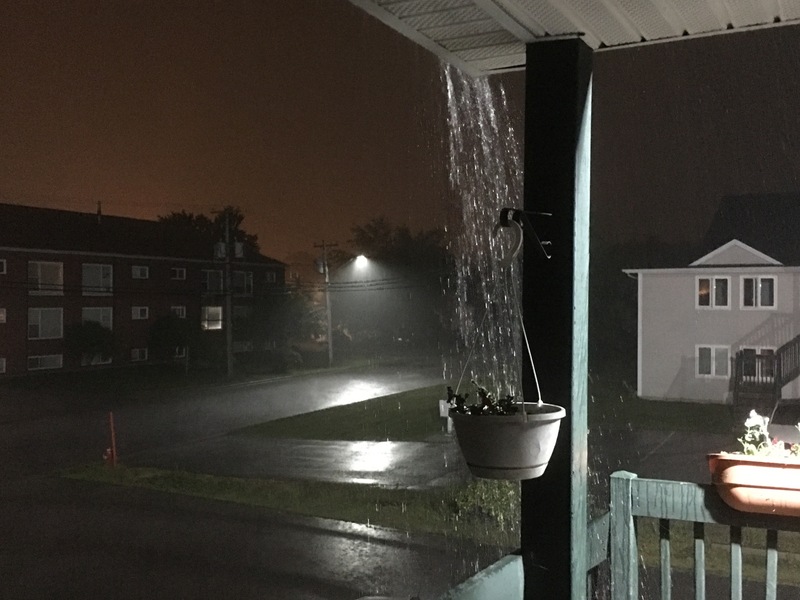 An unstable air mass moved from west to east in New Brunswick producing severe thunderstorms bringing torrential rain, large hail and strong winds. Environment Canada believes a severe thunderstorm formed near Doaktown and possibly spawned a tornado that moved into the Blackville area last night. Golf ball size hail and damaging winds with gusts up to 100 km/h were recorded in the Plaster Rock area. Southeast New Brunswick has seen an above average 18 days with thunderstorm activity this June and a severe thunderstorm watch was issued in the region this afternoon. After three days of daytime highs above 28 C in Greater Moncton, much cooler weather is coming thanks to a cold front and a change in wind direction. The warm sometimes unstable air mass has created severe thunderstorms across the region. 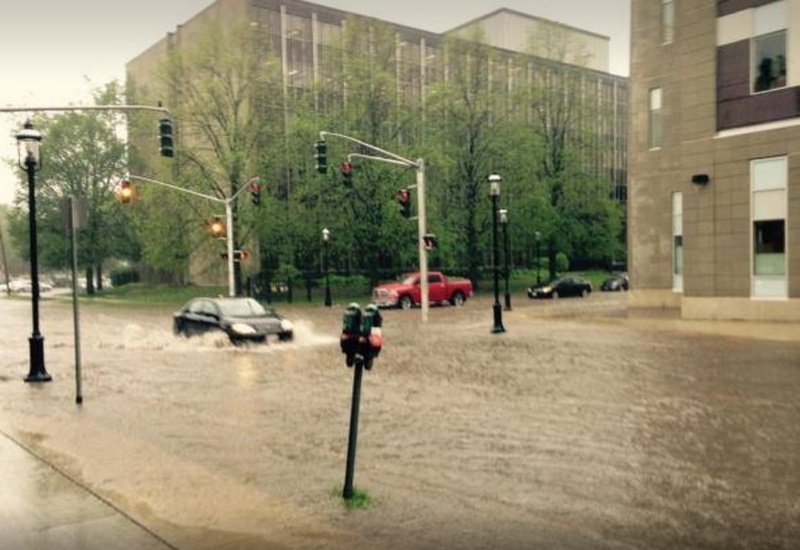 Flash flooding was reported in Saint John yesterday after heavy downpours with wind and hail which were also observed today in northeastern Nova Scotia. Environment Canada is forecasting below seasonal temperatures for Southeast New Brunswick over the next couple of days. Severe thunderstorms across Alberta delivered not only heavy rain but also heavy hail the size of quarters near Calgary yesterday. The hail was so heavy and deep that it accumulated like snow and made an early summer day look downright wintry. Funnel clouds and possible tornadoes were also reported during the stormy conditions. 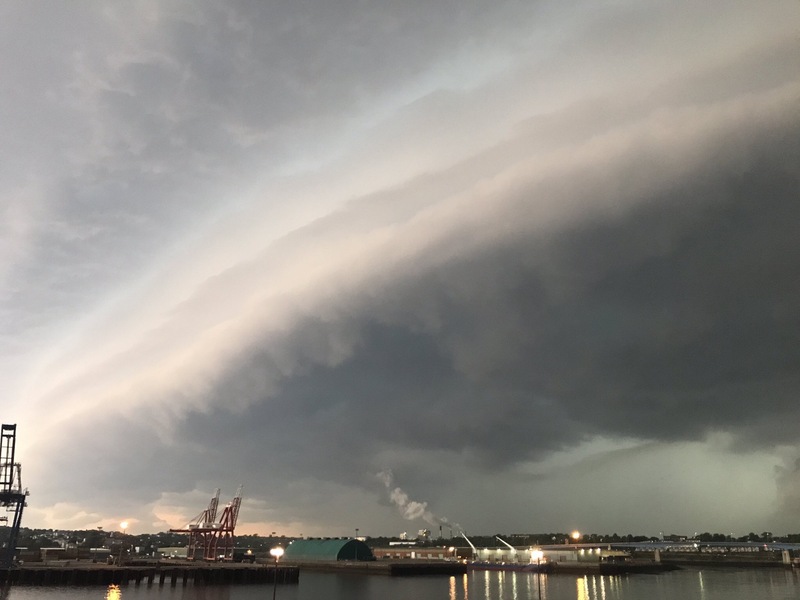 Environment Canada says a warm, moist air mass that has been responsible for high humidity and severe thunderstorms across New Brunswick is finally moving out of the province. The storms would often develop in the late afternoon or early evening and produce strong winds, heavy rains, brief localized flooding and even hail in some areas. 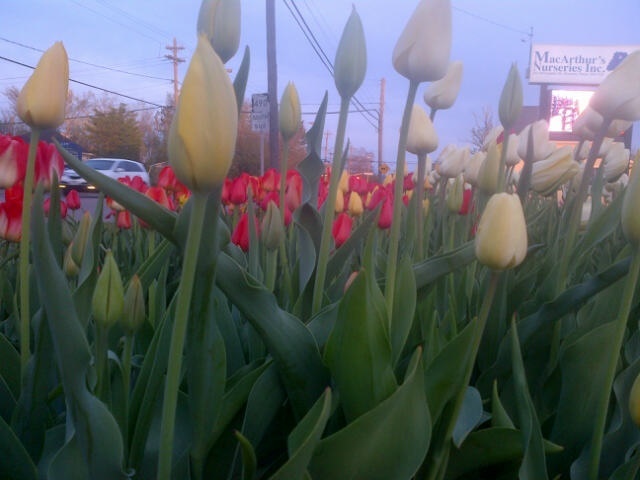 Drier and cooler air has moved into the province which is expected to bring near or slightly below temperatures to Greater Moncton with little chance of precipitation. As you can see above, a double rainbow was spotted over Riverview last night after a brief storm. According to Accuweather, while a primary rainbow is visible when light is reflected once off the back of a raindrop, a secondary and usually dimmer rainbow is spotted when light is reflected twice in a more complicated pattern. It comes as no surprise, but temperatures are almost as chilly on the last day of spring in Southeast New Brunswick as they were on the first day of the season. In Greater Moncton, the daytime high barely reached 14 C on Friday which is at least 8 C below normal for late June. A cold front moved through the region last night which brought thunderstorms including hail in some areas and temperatures dropped considerably as as result. Environment Canada is predicting summer like temperatures will return on Sunday. 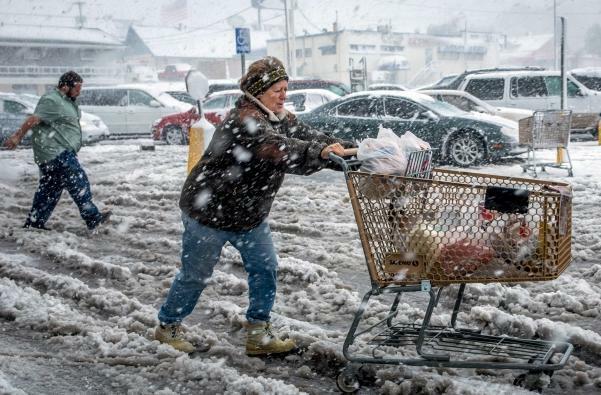 October snowfall records were shattered in South Dakota where more than 50 cm of heavy, wet snow fell in Rapid City and more than 100 cm in the Black Hills after a powerful cold front crossed the Great Plains. Impassable roads and power outages plagued South Dakota today and some motorists had to be rescued by snowmobilers. Further south, severe thunderstorms brought rain, hail and as many as nine tornadoes touched down in Nebraska and Iowa. At least 15 people were injured in tornadoes while three deaths were reported in a car crash on a snowy highway. A wintry-like storm delivering heavy wind and rain battered Southwestern British Columbia over the weekend. 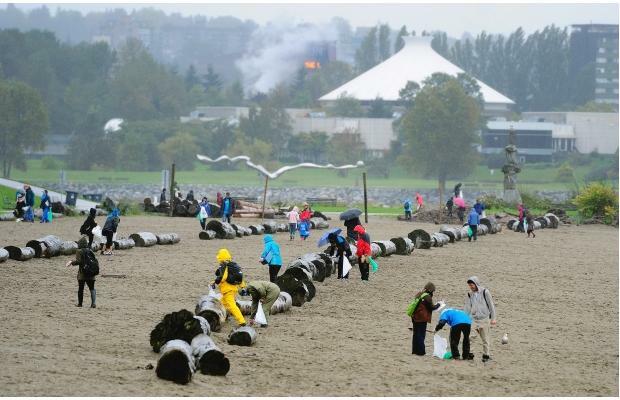 Meteorologists say wind gusts were hurricane-force at Tofino on Vancouver Island last night near 105 km/h. Numerous ferry crossings had to be cancelled between the island and the mainland during the turbulent weather. Meantime, apple growers in the Okanagan Valley are counting their losses today after a hail storm blew through the region yesterday. One farmer may have lost about 60 percent of his crop according to a neighbour.